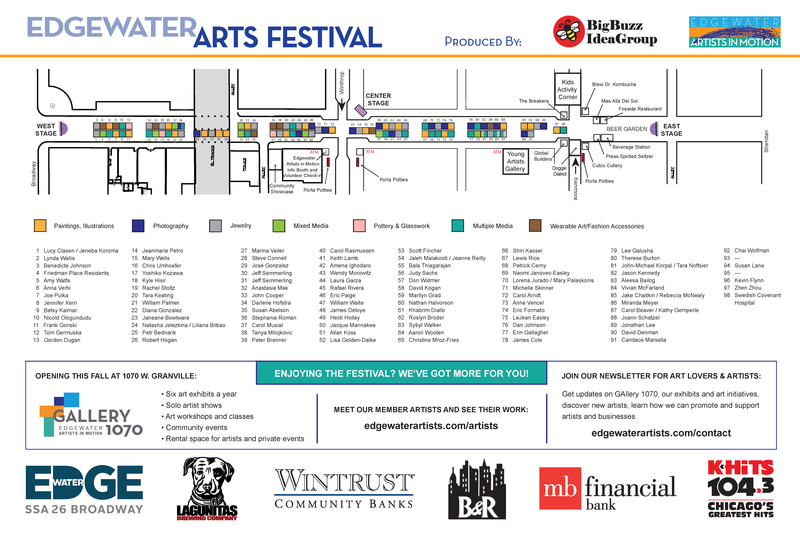 We’ve got a number of Edgewater Glen neighbors who are artists in (or have helped organize) the Edgewater Arts Festival this year. If you are interested in checking it out, doors open at 11:00 today on Granville & Broadway. Festival map and artist listing below. See you there!